Two enthusiastic supporters of Little League® are earning their spot among the greatest softball players of all time with induction into the National Softball Hall of Fame. Crystl Bustos, a Little League® graduate from Canyon Country, Calif., was officially welcomed into the 2018 Hall of Fame Class on Sunday, October 28, while Jessica Mendoza, a dedicated Little League mom and ESPN analyst, was announced as an inductee into the Class of 2019. Growing up on the Little League fields of Canyon Country, Calif., Ms. Bustos went on to become one of the most dangerous hitters in the game of softball. During her prolific career, Ms. Bustos went on to earn two Olympic Gold Medals, an Olympic Silver Medal, three Pan American Championship Gold Medals, and a WBSC World Championship Gold Medal. As an Olympian, Ms. Bustos was able to record 26 runs scored, 14 home runs, 24 RBI, and a .372 (30-for-85) batting average while setting individual Olympic records for the most RBI (10) and home runs (5). In 2004, Ms. Bustos and her 2004 Olympic teammates were officially inducted into the U.S. Olympic Hall of Fame. 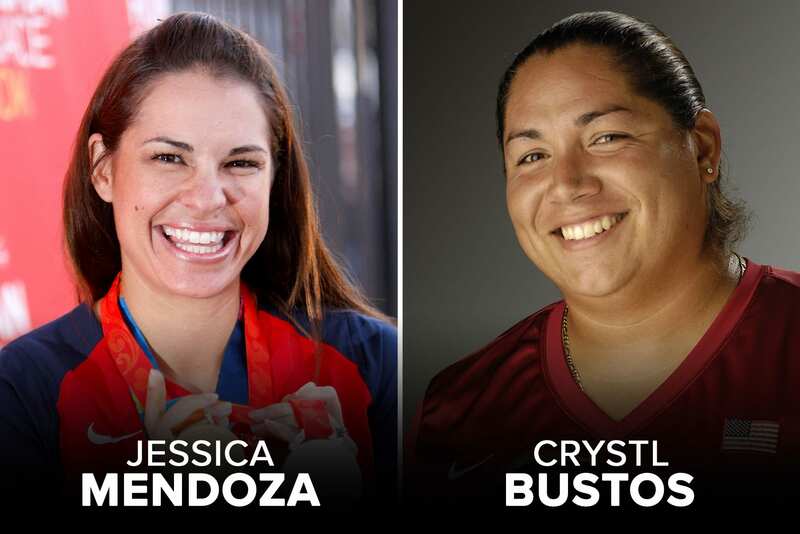 Along with her dedication as an Olympic athlete and professional softball player, Ms. Bustos is a member of the Pitch In For Softball Advisory Committee and also serves as a softball clinician to help young softball players develop a love for the game. Ms. Bustos has been an active supporter of both the Little League Softball and Little League Urban Initiative programs. A two-time Olympic medalist, co-chair of the Women’s Sports Foundation Athlete Advisory Panel, as well as a Little League coach and mom, Jessica Mendoza has served as a major role model for women in sports throughout her illustrious career. Ms. Mendoza has been a member of the ESPN family since 2007 and in 2016 was officially named to the Sunday Night Baseball team as an analyst. Over the last two years, Ms. Mendoza has been a dedicated member of the Little League Baseball® World Series broadcast team and provided insightful coverage of the MLB Little League Classic. Recently, she narrated the new video found in the World of Little League Museum in South Williamsport, Pa. Along with her accolades at ESPN, Ms. Mendoza is also a two-time Olympian and was a member of the U.S. Women’s National team from 2001-10. She is both a three-time World Champion (2002, 2006, 2010) and World Cup Champion (2006, 2007, 2010), in addition to being a two-time Pan American Gold Medalist (2003, 2007). In 2006, she was named the USA Softball Athlete of the Year and was also recognized in 2008 as the Women’s Sports Foundation Sportswoman of the Year. In college, Ms. Mendoza was a four-time first team All-American while playing outfield at Stanford University. She led the Cardinals to their first ever Women’s College World Series appearance and finished her college career with school records that are still held today in: batting average (.416), hits (327), runs scored (230) and career home runs (50). She was also named a three-time Stanford Female Athlete of the Year and a First Team Academic All-American in 2002.